Grab your copy of Misplaced Affection now! Misplaced Affection is the story of three young men… Flynn, Zach and Keith, as they navigate their way through childhood, high school, love, loss and ignorance in an effort to find themselves and where they belong. Or more importantly, who they belong with. Keith Leppo never hides his sexuality, but he doesn’t wear it like a badge either. When he and Flynn start to explore being more than just friends, all Keith wants to do is shout it from the roof tops that Flynn is his. He is extremely jealous, likes to be in control and hates the bond that Flynn shares with Zach instantly. Flynn is adamant about his anonymity though and refuses to acknowledge he and Keith are anything more than friends, and Keith is surprisingly okay with that when it comes to everyone, except Zach. The story unfolds in three parts from each young man’s POV, so parts of the story are told multiple times, but through a different set of eyes. That was one of my favorite things about the story, getting to watch a specific event unfold from three different vantage points gave the story depth and variety. As the story progresses you learn more about each character on a personal level, and something that Keith did or said while you were inside Flynn’s head that maybe pissed you off, took on new meaning when you saw it through Keith’s eyes, or even Zach’s. And you may think that this set up would be tedious, repetitive, but I assure you it is not. Each point of view is distinctly different and crucial to the overall fell of the story. I laughed, then I cried, I laughed while I was crying and I tell you right now that laughter through tears is my favorite emotion. There is something to be said about an author that can take you to such an emotional place that you are snot slinging, chortling while your eyes are glued to the page, trying to anticipate if you should grab a drink next, or a tissue! Wade Kelly is like diet Amy Lane, very in sync with her ability to bring the angst and emotional outbursts to any story she writes. Three dimensional characters, flawed and believable, with a strong storyline and fantasticly driven secondary characters to give the overall feel of the book some spine. Hello Tams, thank you for having me here today! And a BIG HELLO to all my lovely readers. I’m on another blog posting about my newest release Misplaced Affection. So far I think it has been received well. Some readers who picked it up because of the “hot guy one the cover” were new to my writing. So that is always fun! It is good to catch new readers. 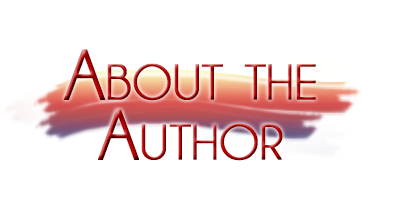 With authors, it is always about marketing and promoting and hoping to snag new readers all the time. We are “starving artists” in many ways and readers are our lifeblood. Without readers, authors die. SO THANK YOU TO EVER READERS OUT THERE BECAUSE YOU ARE EXTREMELY IMPORTANT TO EACH AND EVER AUTHOR!!!!!! Misplaced Affection is my fifth novel and I took a chance at self-publishing this time because I wanted the experience. I also wanted it out a bit faster than the previous release and I was able to get it to the readers within a couple months of completion. That is fun!! Plus, a bonus for me with self publishing is that I am able to get this produced in audio right away. Jason Frazier is a hot new voice in audio books and will be recording Misplaced Affection with all its angst and emotion over the next couple months. My deadline for completion is April because Jason will then be attending the 7th Annual Rainbow Book Fair in New York with me. Can you say WHOOT! WHOOT! Jason agreed to fly out from California to help promote my audio and sign autographs etc. I think this is super fun! There are four major signings and conventions I plan to attend this year and the Rainbow Book Fair is my stop! I will have all my books with me to purchase, and I will certainly sign any books you bring by my table! I will have swag to give away, and I would love to get pictures with fans and chat with you all! In the six previous years that the Rainbow Book Fair has been around, I have been to four. I missed their first year because I was unaware of it and I was not published. In 2010 I took items to sell, but it was more to look around and get a feel for what it means to be an author and I was overwhelmed. So many readings and people, but it all looked fun. I went in 2011 & 2012 representing All Male Romance and I gave away swag for MANY authors that were a part of that group. I even met Damon Suede and Andrew Grey way back in those days! I missed 2013 because I think there was a gymnastics event on the same date and I love my daughter and skipped RBF for her. 2014 though, was the first one I had been to in the Holiday Inn Midtown. Boy was it BIG compared to previous events. I even did a reading and it went great!!! I am really looking forward to being a part of the Rainbow Book Fair this year. The event supports the Center For Lesbian and Gay Studies. On their website they say that RBF if the longest running LGBT Book fair in the US. I think that is great!! I am a sponsor for the event and I will have a reading at some point during the day. I hope you will stop by Midtown and say hi if you are in New York on April 18th! It will be loads of fun! Besides the Rainbow Book Fair, I will also attend Romantic Times Booklovers Convention in Dallas in May, Rainbow Con in Tampa in July, and GayRomLit in San Diego in October. If you are unable to go to any of these, please let me know what State you are in and I can keep you posted if an event comes to your area. You never know. The excerpt I’m sharing is a “first kiss” because I made a nifty little “first kiss” AD for Facebook. Hahaha. Here ya go! Kissing Zach years ago felt like a dying ember compared to the sensation of Keith's lips on mine. Maybe it was because I was so much younger then, and I'd had no clue what I was doing. Thank you! I hope you liked the post and will stop by and see me in New York! Tams too because SHE WILL BE THERE! Wade Kelly lives and writes in conservative, small-town America on the east coast where it's not easy to live free and open in one's beliefs. Wade writes passionately about controversial issues and strives to make a difference by making people think. Wade does not have a background in writing or philosophy, but still draws from personal experience to ponder contentious subjects on paper. There is a lot of pain in the world and people need hope. When not writing, she is thinking about writing, and more than likely scribbling ideas on sticky notes in the car while playing "taxi driver" for her three children. She likes snakes, can't spell, and has a tendency to make people cry. 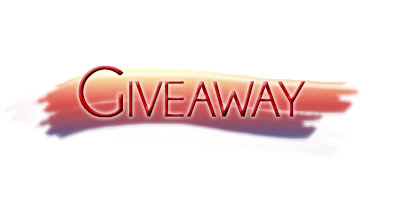 So leave a comment below to be entered into this giveaway. You can simply say thank you to Wade Kelly for stopping by today and sharing her schedule for the year, or tell us which Kelly book is your favorite. Be sure to leave your email address or I will skip over your entry if it is the winning number, because I won't be able to contact you! I loved My Roommate's a Jock? Well, Crap! So many memorable and quirky characters. Thanks for the chance to win. Congratulations on the newest release! Going to start Names Can Never Hurt Me next week, but The Cost of Loving looks good to me. Thank you for the giveaway chance. Loved the review and excerpt. Thanks! Hope you have a great time at the conventions you will be attending. Congratulations on the new release! Thank you for the giveaway chance! Thanks for the great interview and giveaway and much success! Wow this awesome giveaway thanks for the chance. I love all the comments!! :) Thank you!